Late in the evening on a crisp November evening, I went into labor with my first child. We drove 30 minutes to the pristine University Hospital where I planned to deliver. When the baby’s heart rate kept dropping a team of doctors and nurses from multiple specialties crowded the room prepared to save her life and protect mine. My daughter, Lailah Atieno was born healthy on the 23rd of November, 2010. I was living in Kenya at the time of Lailah’s birth, working in remote rural regions hit hard by the HIV epidemic. On one visit to a faraway clinic, I remember bouncing along the muddy roads 7 months pregnant thinking, “What happens if I go into labor right now?”. I chose to return to the U.S. for delivery. 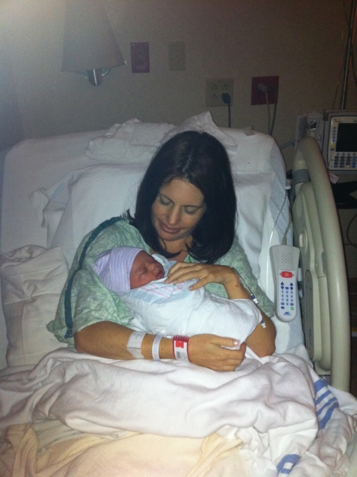 As a pediatrician myself, I knew the complications that could happen during labor and delivery. I wanted to give Lailah the very best chance. I was privileged to have that option. When Lailah turned 2, my Kenyan husband and I decided to relocate to the U.S. We wanted Lailah to have the best educational opportunities possible without having to pay top dollar for private schools. Again, we were privileged to be able to give her that. But Kenyan girls and women are never far from my mind. I return three times a year for work on HIV. I see first-hand the challenges girls face trying to get an education. In Sub-Saharan Africa, 75% of girls start primary school but only 8% finish secondary school. Girls drop out for lack of money (only elementary school is “free” in Kenya), due to missing too much school during menstruation, after getting pregnant, and to help at home. They are 6 times more likely to become child brides without a secondary education. I want all parents to have the options we have had for our daughter- health and education. We focus on girls because they are so often left behind and excluded which hurts us all. For every additional year a mother is educated, the chances of her infant dying drop by 5-10%. Each extra year of secondary school can help a girl increase their future earnings by 10-20%. Brave Coalition is joining Women in Security and Regis University to celebrate the International Day of the Girl by screening the incredible documentary Girl Rising. These stories will bring you to tears, inspire you, and push you to act. Get tickets to the screening on Friday, October 20th. Join us. When girls rise, we all rise.